Anyway, I just want to share some random stuffs I did that day. We decided to watch Kingsman: The Secret Service after lunch so before that we went to fill our stomach. For dessert, we went to Caffe Bene to try their bingsu. 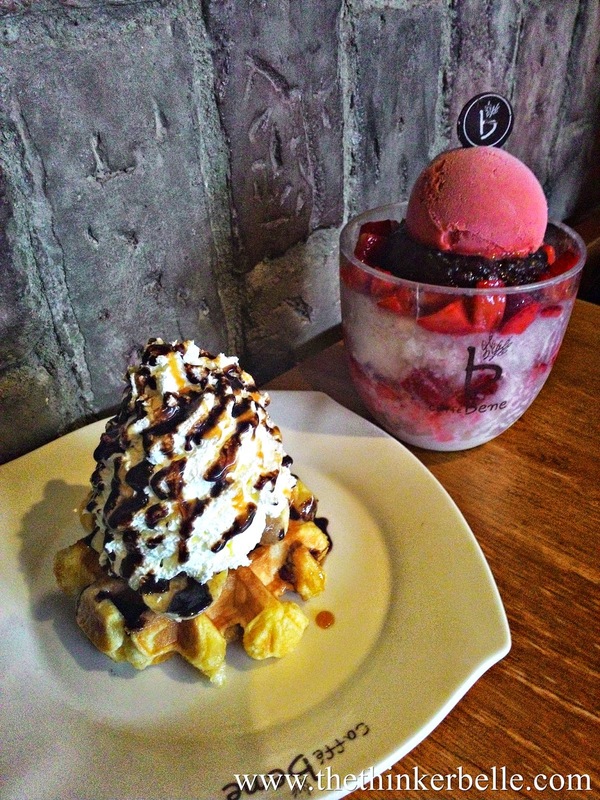 Bingsu is a Korean term for shaved ice dessert, about similar to our local favourite ABC. Honestly, I've tried bingsu before but never tried Caffe Bene's one. We had the Strawberry Bingsu and I love it! And we also share a plate of Caramel Banana Waffle while waiting for the time to enter the cinema. Speaking of that, Kingsman is totally awesome! It's been days since I watched the movie but I just can't stop raving about it. Totally a recommended watch. It has quite a twisted humour though, and some people claimed that it's a tad too much blood in it but since it's limited for viewers aged 18 years and above I guess it makes sense. I'm trying not to give too much away but my overall thought about this movie can be quoted from my Facebook status, and to add to it Eggsy is such a cute name for a male lead. After the movie, we were just hanging around window shopping. I also get to tried the Milkcow Ice Cream. There are mixed review on it, some says it's amazing and some think it's way too overrated. Personally, I totally love the taste! 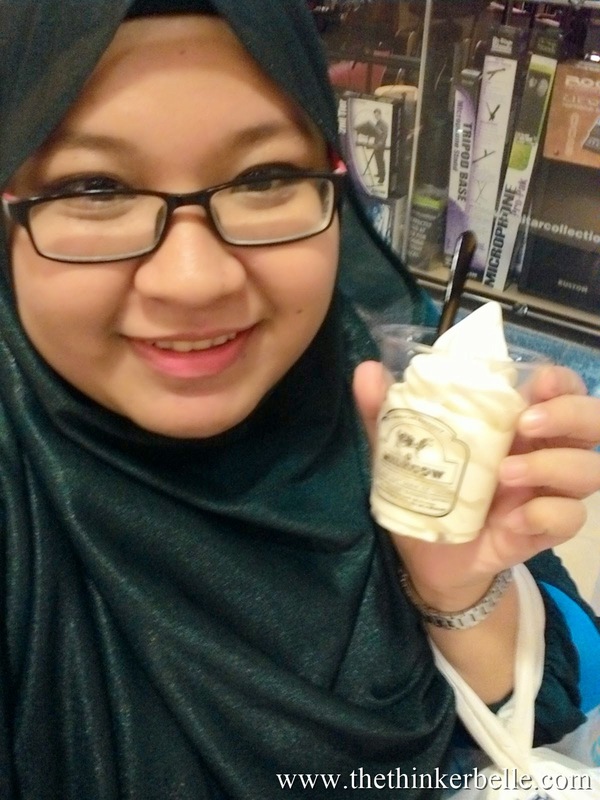 It have quite a selection but I tried the plain original one, and I really like the strong taste of cow milk in it. 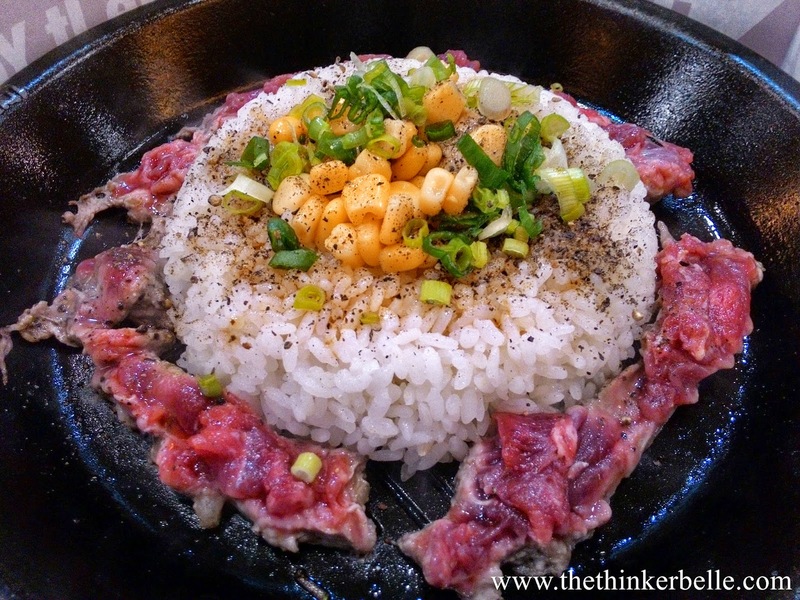 Around dinner, my best friend and I went to Pepper Lunch. As usual, I had the beef one. Don't exactly remember the name though. So let this picture do the explanation. you should try dalkomm cafe! their bingsu is nice too.